Poaching takes an incredibly high toll on rhinos - their lives. But for young rhinos who are still reliant on their mothers for every need, a parent lost to poaching can mean a death sentence for the calf. Thankfully, there are caretakers willing to step in and take over in a tragedy - and they did just that for a lucky calf named Matimba. 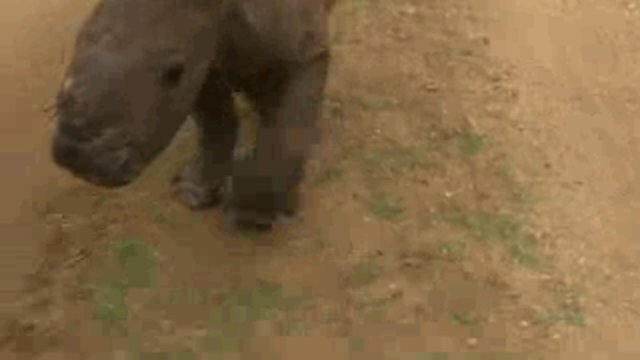 At just a month old, Matimba was rescued after his mother was poached for her horn. He was taken to the Hoedspruit Endangered Species Centre in South Africa, where caretakers awaited with infrared lamps, bedding and a heater. 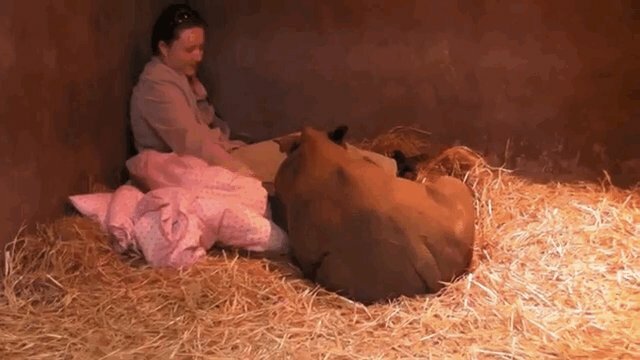 The calf was visibly upset and crying out for his mother. The footage is heartbreaking. After a few days, Matimba had calmed down and began to drink from a bottle. In order to hand-feed him, caretakers had to get very close - so close that he even began to nap at their feet. And soon enough, Matimba was full of energy, trotting around the center's grounds. 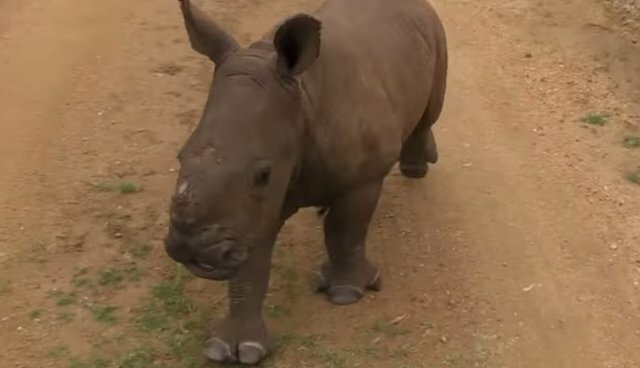 Like another orphaned rhino named Gertjie who was rescued and lives at the center, Matimba is living evidence of the toll that rhino poaching has taken on Africa's wildlife. Since the start of 2014, over 1,000 rhinos have been poached in South Africa alone - already a record number. See this page to learn more about how to stop the rhino horn trade and end poaching.